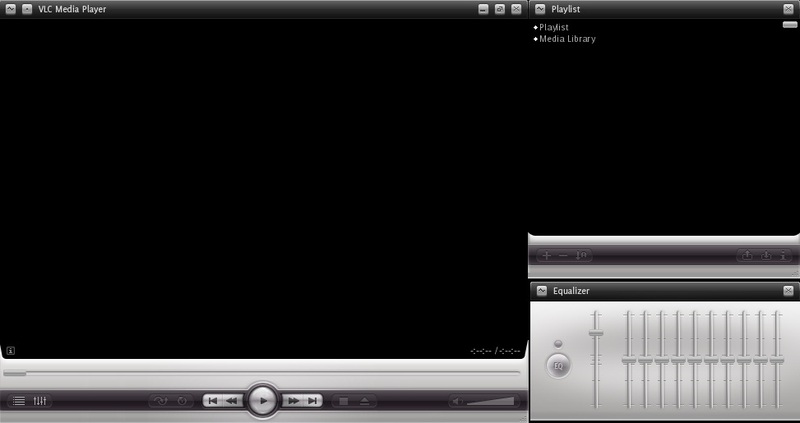 VLC team made their newest release of the VideoLAN Player available to the general public. 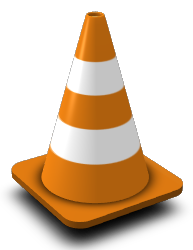 VLC 1.1.6 which is now available as a source tarball fixes a security hole that was reported in december 2010 which makes it a recommended upgrade. A lot of other changes and bugfixes went into the new VLC , you can read all about that on the release notes page. I think that now, the waiting is really for the next revision of VLC (1.2.x) to come out of the git repository and be released as stable. That has been in development for a long time now, and offers a completely re-developed mozilla plugin (the plugin package which accompanies VLC 1.1.x is not really a reliable piece of work) and of course a whole lot of feature enhancements compared to the maturing 1.1.x series. One of the things that the 1.1.6 version should have fixed is the annoying behaviour in KDE 4.6 where, if you select “Media > Open file” it takes 30 seconds to open a file browser. After that first delay, every subsequent file-open dialog will open instantaneously – strange isn’t it? There is an open bug report for this issue: https://bugs.kde.org/show_bug.cgi?id=260719 and it shows a lot of discussion but no real fix since the KDE and VLC developers basically point to each other to provide a fix. Looks like fixing this in KDE is going to be difficult and VLC would be able to work around the issue. Unfortunately, the code that went into VLC at the last minute (see http://git.videolan.org/?p=vlc/vlc-1.1.git;a=commit;h=ac11f9c0e27905087afdfb46180ece227a4d76e7) does not fix it for me. Enough said. Before I point you to the download location for my Slackware VLC packages, let me humour you with this VideoLAN promotional video made by Adam Vian: http://images.videolan.org/images/vlc-player.mp4 (download first, then load it in VLC). Very funny, worth watching. Posted: 24 January, 2011 in Slackware, Software. Are we gonna have a new build for the phonon-vlc back-end? I tried to build it using your build sources without success. Is it dependent on the new phonon 4.4.4? I hope that this new thing from Canonical Qt based Unity, maybe, spur folks to create another DE – Qt based -lightweight, sans bloat. No semblance to KDE whatsoever. Of course, thanks for update AlienBob! Jeeze I can’t compile this Uber Slackbuild on my machine. Well, I downloaded qt 4.7.1. It appears to do the job. But. But x264 complains about vaapi! O God!! Sorry for that!! (process:8887): Gtk-WARNING **: Locale not supported by C library. [0x1706ad0] avcodec decoder: Using VA API version 0.31 for hardware decoding. Try recompiling your vdpau-video package. All the error/warming output before the segfault is not unusual – I see it all the time. The segmentation fault however could be caused by a mismatch between vlc, libva, vdpau-video and the binary nvidia drivers (assuming you have that installed). (both with your and my recompiled libva), but maybe that is nothing to worry about? vainfo also gives the same output. I guess HW accelerated video is not used though in this case? Sorry for the double post, please remove it. are NOT created, whilst they are a part of your vdpau-video package. Is there something I should change in the .SlackBuild script? i just hate it’s orange interface ,now i got the latest black interface version of vlc here is the snapshot http://i.imgur.com/46I8w.jpg i got it from here check this out if are bored that old orangle interface.